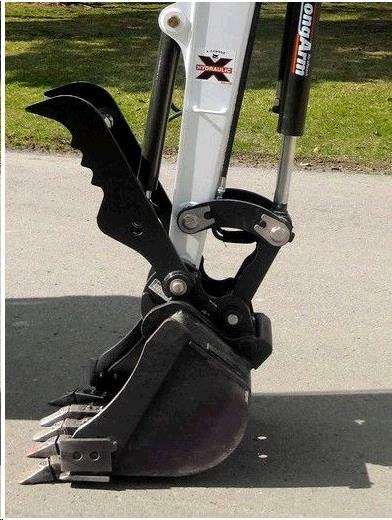 FOR BOBCAT 3 TON EXCAVATORS ONLY!!!! WILL NOT FIT KOMATSU OR DITCH WITCH EXCAVATORS. * Please call us for any questions on our excavator thumb 3 ton bobcat only rentals in San Jose, Campbell, Salinas, Santa Cruz, Watsonville, Morgan Hill, Hollister, Santa Clara, Gilroy, Milpitas Sunnyvale, Fremont, Salinas, the Greater Bay Area and the Monterey Peninsula.